A laser cut 50ft Yard Lamp kit in OO / 4mm scale. 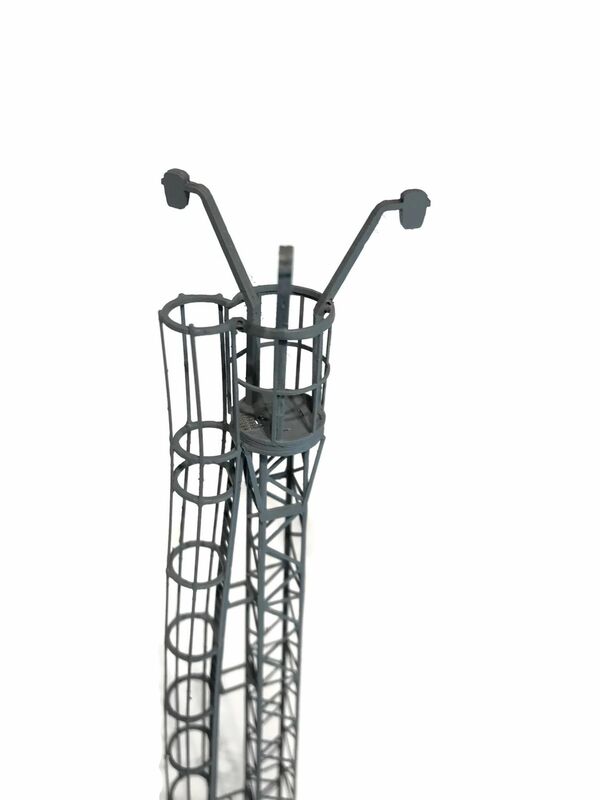 Kit builds one, non-working yard lamp suitable for maintenance yards & depots set in the 1960's onwards. 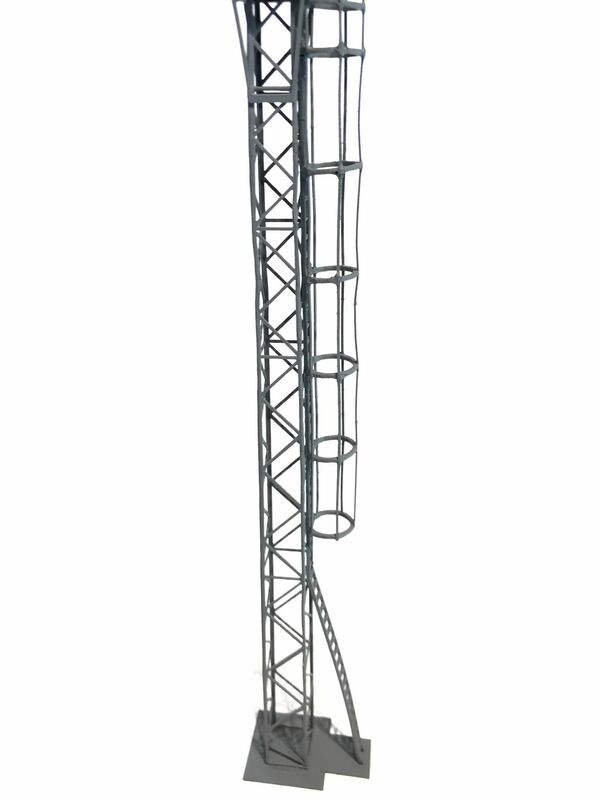 Features finely detailed, realistically tapered lattice mast, with true to scale top platform & cage. Incredibly strong & very light weight. 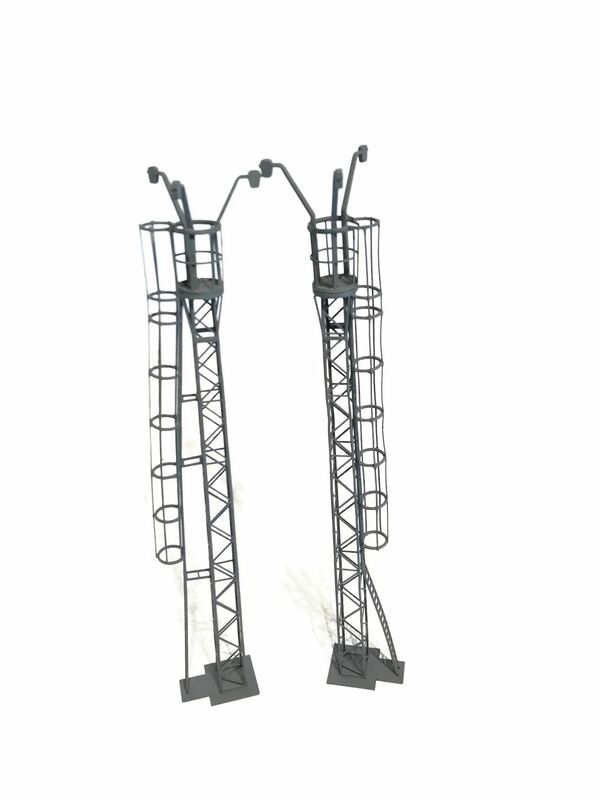 Two different mounting options for the access ladder & safety cage as shown in the photos. The kits are supplied unpainted and can be quickly painted and weathered with acrylic paints & weathering powders. We used grey acrylic car primer spray paint on the prototype shown in the photo. Construction time, 30 to 45 minutes. Full step by step photographic instructions included.